Let’s educate these 29 kids from shelter homes! This Organization is sowing the seeds for a bright future by subsiding education for underprivileged kids. These words by Greek thinker and essayist Plutarch hold so true when it comes to educating the underprivileged kids of our country, for what they need is not just sympathy but one priceless opportunity to give life to their dreams.This is what SEEDS or (Standards for Excellence in Education and Development) has been striving to do for the past 3 years by enabling holistic education for hundreds of kids from the most deprived backgrounds of our society. How SEED School saved little Priya’s dreams? For Priya, a vivacious 8 year old, her ambitions of becoming a teacher and empowering others seemed to come crashing down one fine summer morning when the school that she went to in Hyderabad suddenly closed down. SEED‘s timely intervention saved the day for her as she will now be able to receive the unhindered education that she deserves. Now their mission is to rescue at least 28 other kids who are at the risk of becoming permanent school dropouts by providing them subsidized education. This attempt will also maximize the intellectual and academic outcomes of these children, which will enable them to compete with their privileged counterparts on even terms. Seed School requires each one of us to step forward and make a small contribution to this wonderful cause. Your donations will ensure that money doesn’t come in the way of schooling of these underprivileged children and that no student gets forced to drop out. You could also share this initiative by sharing the campaign page on Facebook, Twitter, LinkedIn, email, Whatsapp (on mobile) and spread the word about this amazing school so that your friends and family can learn about it and come forward to offer support. An optimist with zeal to revamp education standard in low income segment of India. A passionate educator and an IITian with extensive experience in Low Income Private school. INSEAD alum after 19 years in banking is committed to weed out inefficiencies in operations to make it scalable. Passionate team of fellows from Teach for India, TISS and other prestigious institutes with over 10 years’ are relentlessly working towards making classrooms better and bridge learning gaps. 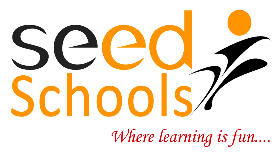 SEED Schools was established in June 2013 with a vision to provide high quality education to children from low-income families and to address the huge learning level gaps widely reported in low cost private schools (LCPS). SEED aims to operate large number of schools in coming years to impact lives of thousands of kids from low income families. Currently, it operates 3 (Nursery to X) schools in Hyderabad with over 1,300 children. With 1 to 3 years of intervention in the schools, we have seen significant improvement in kids’ confidence, English reading & communication, maths and computer skills. Our core belief is that the children learn best when they are happy. By contributing Rs. 1,000 (~USD 15) you can sponsor 2 sets of school uniform for a student. By contributing Rs. 1,500 to 2,000 (~USD 20- 30) you can sponsor textbooks, for a student for a year! By contributing Rs. 3,000 (~USD 45) you can sponsor entire student supply (textbooks and uniform) for a student for a year! By contributing Rs. 5,000 (~USD 75) you can sponsor entire student supply (textbooks and uniform) for a student for two years! By contributing Rs. 10,000 Approx (~USD 150) you can sponsor a child’s education for one complete year! By contributing Rs. 20,000 Approx (~USD 300) you can sponsor a child’s education for two complete years! Your share could be as good as a donation for Sreenidhi High School managed by SEED Schools! Not everyone can afford to take care of their loved ones. 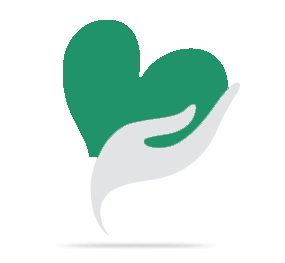 Sreenidhi High School managed by SEED Schools's life can only be saved by donations made by kind people like you.